Easily move files among all your Apple devices without wires, converters or other headaches. When you want to move files among your Mac and iOS devices, you probably use iTunes. But Apple’s software isn’t always cooperative, especially if your files need converting. Luckily, there’s another option that skips all the fuss. Waltr 2 is basically a drag-and-drop file manager. Designed for simplicity, it easily relocates music, ringtones, videos, PDFs and ePUB files straight to any Mac or iOS device. That includes the entire line of iPods (even the pre-iOS ones). Audio and video files are automatically converted for the target device, and information like title, genre and descriptions fill themselves in. Additionally, Waltr automatically detects any Wi-Fi-enabled iOS devices for wireless transfer. That means you can keep all your devices’ content organized without having to plug them in. 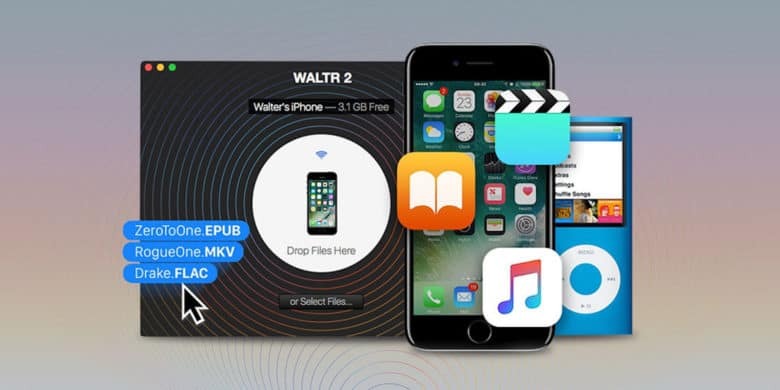 Buy now: Get Waltr 2 for Mac for $19 — that’s a 52 percent discount.